The fielding coach is happy that the core team is ready as "all pieces are falling in place", with the bowling unit taking itself '10 notches higher'. 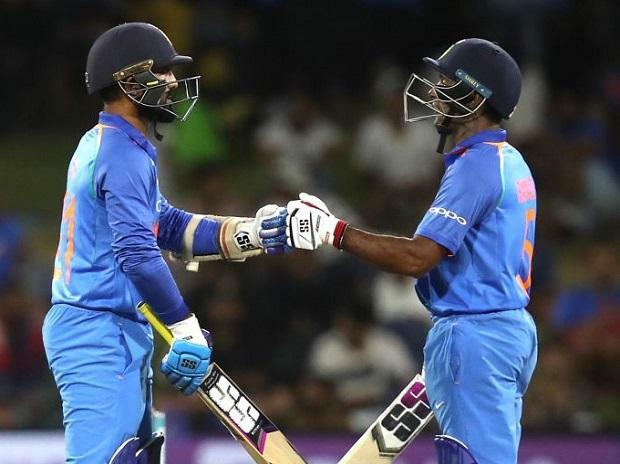 India's fielding coach R Sridhar is expecting some of the reserve players to get much-needed game time during the next few ODIs as the team management wants every player to be match-ready going into this year's ICC 50-over World Cup. The fielding coach is happy that the core team is ready as "all pieces are falling in place", with the bowling unit taking itself "10 notches higher". "Winning is a habit that you want to continue and don't want a let down on intensity but we need to give game time to our reserves with just seven games remaining before the World Cup," Sridhar said ahead of India's fourth ODI against New Zealand here on Thursday. "We shouldn't be in a situation going into the World Cup where the main XI has played and the reserves have not got enough game time when (it might happen that) they have to suddenly play a crucial game during World Cup. That is what the team management will be thinking I am sure," Sridhar said. "There is no better place than New Zealand to simulate the conditions of England in June. So we would like to surely create a situation where we give game time to our reserves," Sridhar said. "All the pieces are falling together. It's quite an experienced unit and if you see the top six players, they have all been there from 2013 Champions Trophy (in England)," said a visibly satisfied Sridhar. "India was always a fabulous batting country but now bowlers have started picking wickets throughout different phases of the match. Whether it's Bhuvi (Bhuvneshwar Kumar) and (Mohammed) Shami or the leggies (Kuldeep Yadav and Yuzvendra Chahal), they have done it in South Africa, against Australia and now here," Sridhar waxed eloquent. "Apparently, they (Kuldeep and Chahal) have picked 100 wickets between them in 24-25 games which is magnificent. The most important phases of the game has been taken care of. Then we have excellent death bowlers in terms of Bhuvi (Bhuvneshwar Kumar) and (Jasprit) Bumrah," he added. "The experience of the side, combined with fitness and bowling has gone 10 notches higher, making it look like a complete unit and it augurs very well for us going into the World Cup. This team under Virat Kohli and now with Rohit Sharma as captain has played some of its best (ODI) cricket in last three years," he exuded confidence.